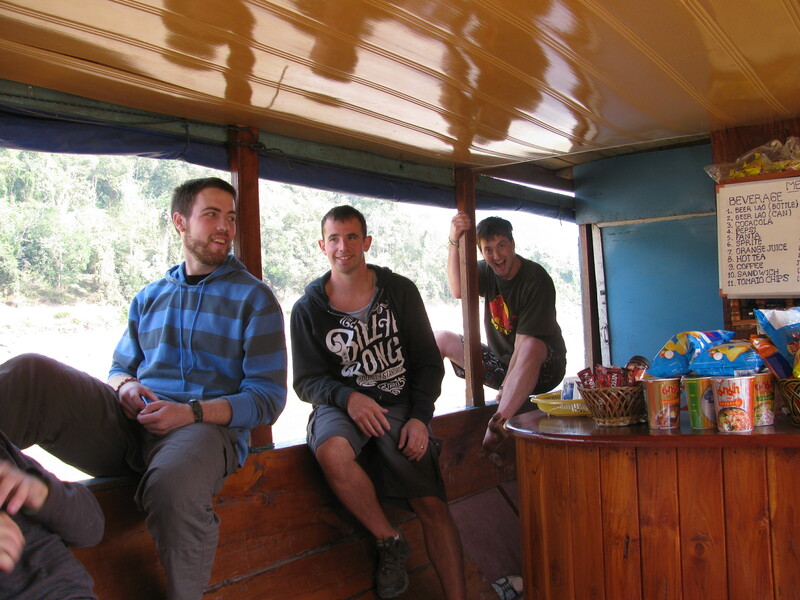 Flying from Luang Prabang in Laos to Hanoi in Vietnam is like being in the middle of the most serene dream of your life and falling out of the bed suddenly and waking up in… well, in Hanoi. 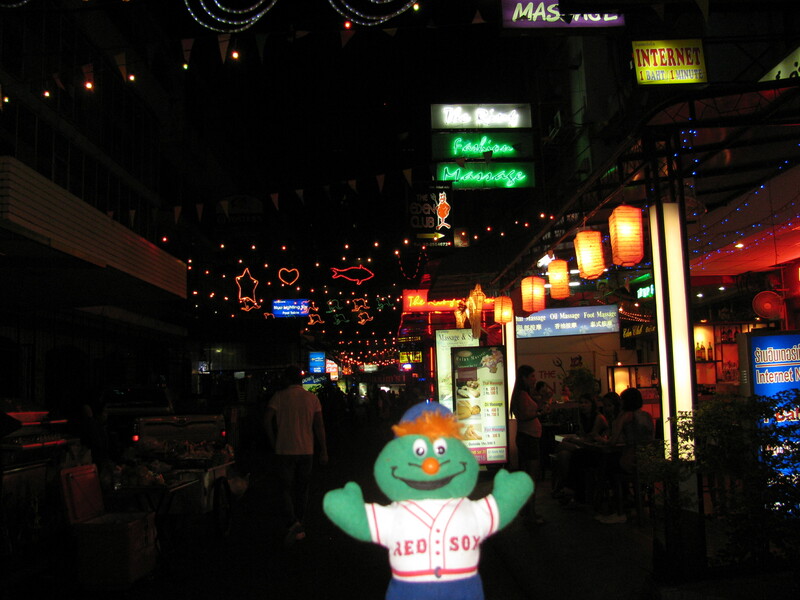 Wally is hanging out on Sukhumvit Soi 7/1. Wally heard that was where a good deal of the on-site filming of The Hangover 2 was shot in Bangkok. Sukhumvit Soi 7/1 is a street that makes one feel a little dirty just walking down. It’s a bar street, but not the kind of a bar a couple goes in together -so after passing through – we went elsewhere for a Sing-Ha beer. 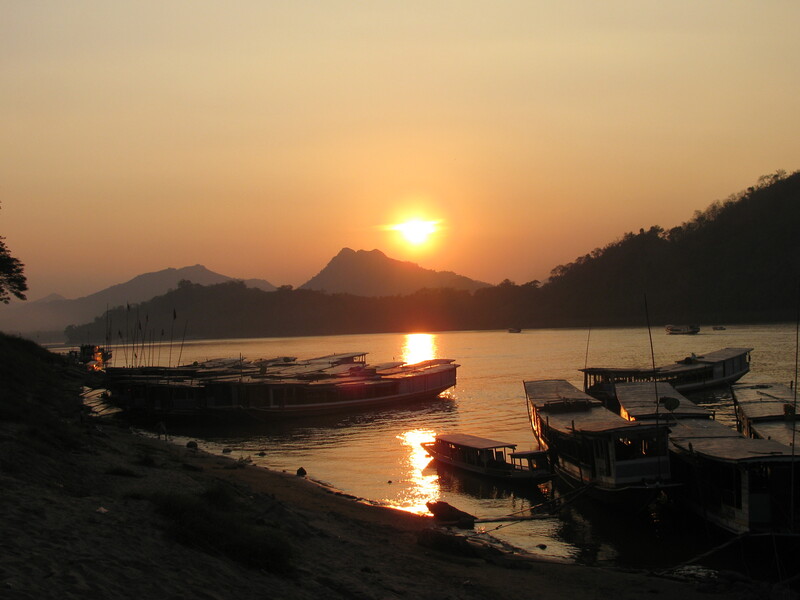 Luang Prabang lies between two rivers. The Nam Khan River on one side, and the infamous Mekong River is on the other side. 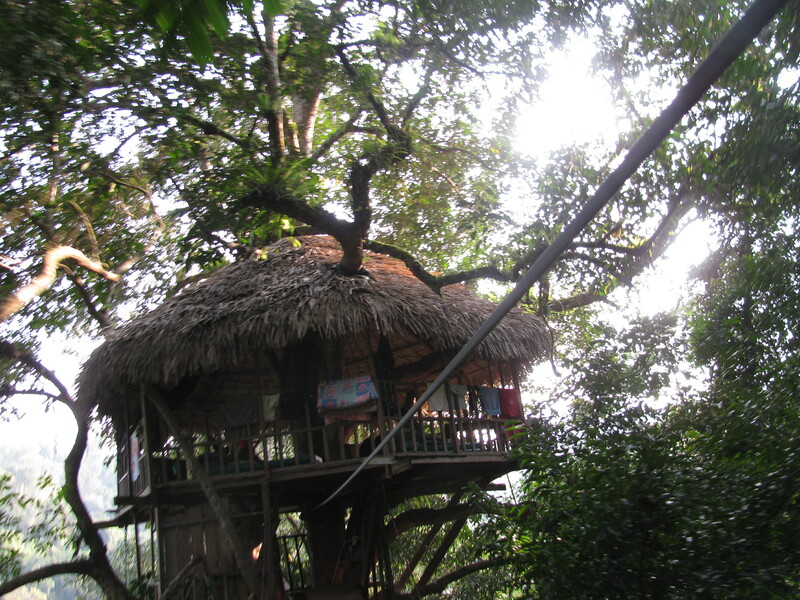 When I first heard about the Gibbon Experience, on a special forum that is for independent long-term travelers, I just had to do it. I showed Tim all the information that same day, and even though are trip was two years away we knew we would be including this two night adventure into our itinerary. 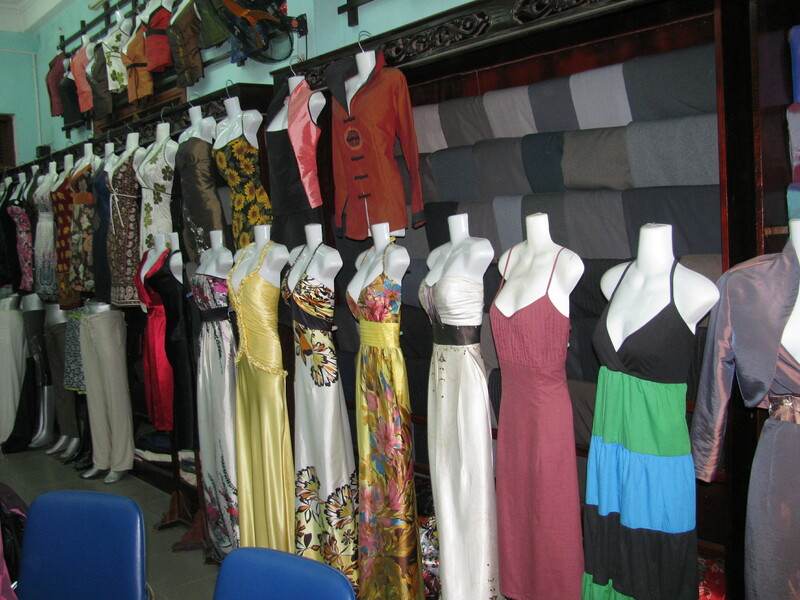 Vietnam markets rock my world. Every Asian market has cheap t-shirts, jewelry, and useless things you imagine will make you look more worldly when it’s sitting on your coffee table, but Vietnamese markets are a cut above. 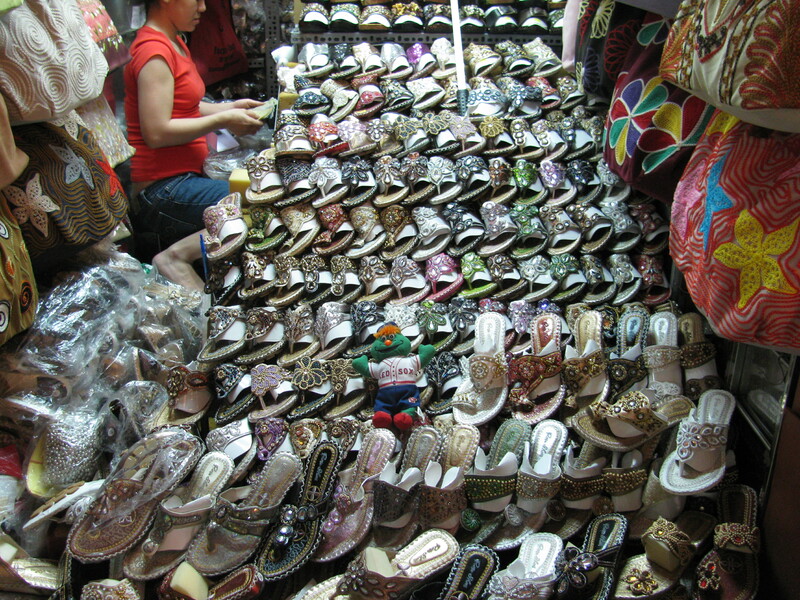 Wally is lost in a pile of hand-made Vietnamese shoes. And it doesn’t end there, the women of Vietnam have some serious fashion sense. You can probably find just about any color and style of shoes imaginable, and all the accessories to go with it. 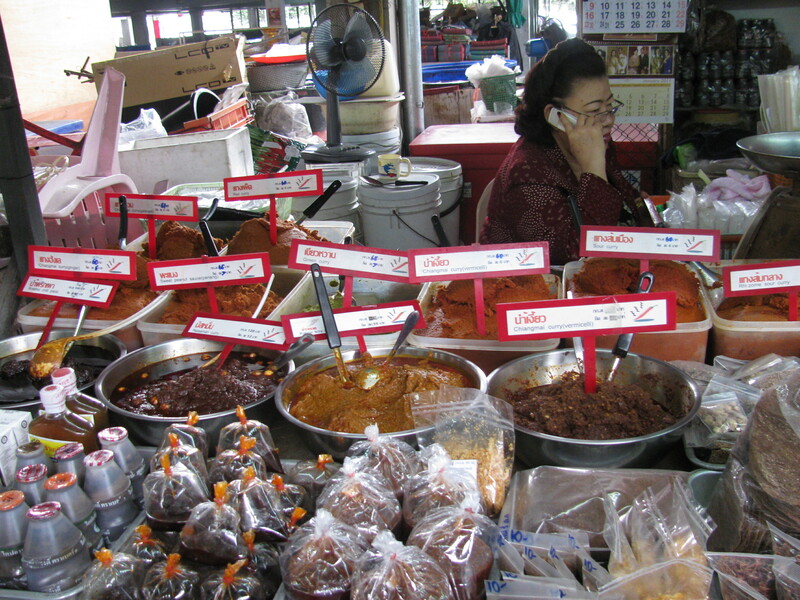 Watch out for the food stalls though, the combination of heat and too many smells mixing together might sending you running for fresh air before you can finish negotiating. Eat that up, It’s Good For you.